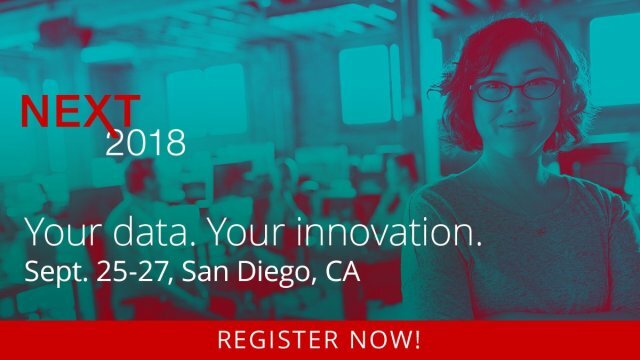 Over the course of a three day period, technologists and innovators from around the globe will convene to explore how data innovation drives business transformation, as Hitachi Vantara brings back its second annual user conference called NEXT. VMblog recently spoke with Hitachi Vantara at VMworld 2018, but I look forward to a much deeper dive and more immersive experience at the upcoming user conference. 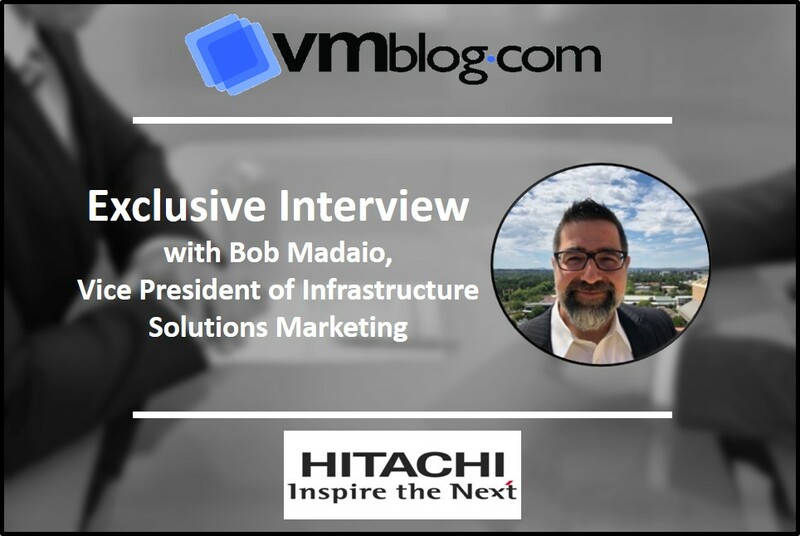 To find out more in advance of the event, I spoke with Bob Madaio, the company's Vice President of Infrastructure Solutions Marketing. VMblog: What are some of the key things that customers, partners and the industry as a whole should know about Hitachi Vantara? Bob Madaio: Hitachi Vantara's goal is to help data-driven leaders find and use the value in their data to innovate intelligently and reach outcomes that matter for business and society. We believe this idea of a "data stairway to value" holds the key to organizations becoming digital leaders. This notion is also driving core exercises in modernizing the IT capabilities that house all this data, ensuring the proper governance of this data and extracting the proper insights from this data. Hitachi Vantara's commitment to building data solutions also translates into investment in virtual infrastructure, a focus on high availability for critical applications and driving hyperconverged solutions with VMware for simple, scalable IT. This also helps ensure our software protects customer data and drives systems operations in a more intelligent fashion. VMblog: Tell us about the Hitachi NEXT event you are holding in San Diego. What are the dates for the event, and where will it be located? Madaio: At Hitachi NEXT 2018, leaders will see what's next for their data in IT, operational technology and the internet of things, from Hitachi and our many partners. The goal is that they will bring back insights and strategies they can use right away to transform their businesses and build them for tomorrow. NEXT 2018 will be held Sept. 25-27 at the Hilton San Diego Bayfront in San Diego, California. For more information and to register, you can visit HitachiNEXT.com. VMblog: What will be some of the highlights of Hitachi NEXT? Madaio: At Hitachi NEXT, we will be showcasing our current and future technology innovations as well as demonstrating how our customers are benefiting from deploying Hitachi technology in their businesses. One of the biggest highlights will be customers discussing the tangible improvements they saw by modernizing their data infrastructure with Hitachi Vantara - and hearing from those real-world users is always very exciting. VMblog: Tell us about the Hitachi ecosystem. Who will be sponsoring and participating in the event this year? Madaio: We have a host of sponsors from the IT industry, as well as the enterprise tech space as a whole. Intel is a diamond sponsor of NEXT 2018. Platinum sponsors includd Amazon Web Services, Google Cloud and VMware. NEXT 2018 has several other sponsors at the Gold and Silver levels, including Cisco and Verizon. VMblog: What has changed with Hitachi since NEXT 2017? Madaio: At Hitachi NEXT 2017 we announced the new company entity, Hitachi Vantara. Our focus was on introducing this new combined company, the capabilities we bring to bear, and the direction we are taking with our technology, services and solutions. Now, a year later, we will not only talk about that direction, but demonstrate some tangible innovation areas that are making - and will make - significant differences for our customers and in the market. VMblog: Finally, will you be demonstrating any products and solutions during Hitachi NEXT? Madaio: Yes! In fact, there is an entire Solution Showcase highlighting over 50 demos where customers can interact with our software, see our systems, talk to our experts, and learn what our products can do in the data center, in analytics and how they come together to drive solutions. One area of focus will be unified converged systems management, VMware-powered hyperconverged solutions, integrated data protection and copy data management, and entire as-a-service cloud offerings.